I am unable to log in using the receptionist login prompt. Reset the password from the login page. Click Help and follow the prompts to reset the password. Log in with the new password. I am getting an “Unauthorized User” error message while logging in. The Unauthorized User error is usually caused by logging in with credentials saved by your browser. Simply type your extension credentials by hand, and the issue is resolved. I navigated away from Switchboard Pro by accident. How do I get back? 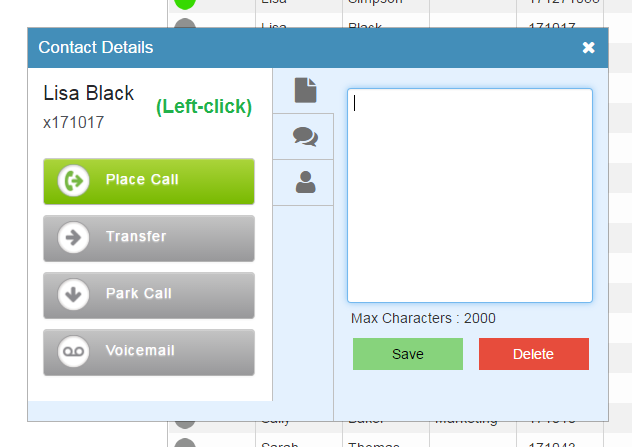 Switchboard Pro is a web application that requires the use of a mouse. Left-clicking with your mouse is supported and brings up Contact Details. 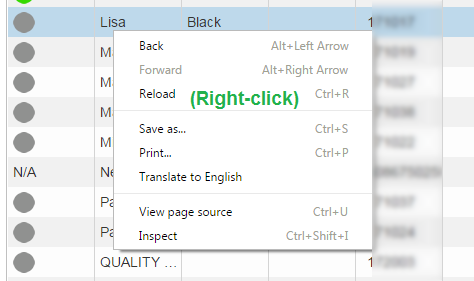 Right-clicking with your mouse simply shows browser options. If you right-click and select Back, you are logged out of the application. Simply log back in or click the back option in the browser to log back in. If that doesn't resolve, find the link in the web history or in your favorites (bookmarks), and return to Switchboard Pro. I am getting closed out of my Switchboard Pro by another user. This is designed as a convenience, allowing you to log in from any computer at any time, logging you out of the previous session. 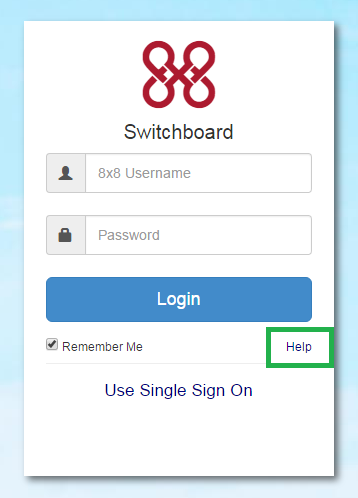 If you are sharing your Switchboard Pro login credentials with other receptionists, you may be automatically logged out of your Switchboard Pro session. Switchboard Pro is a single-user license, allowing one concurrent session. If your organization requires multiple concurrent sessions of Switchboard Pro, please purchase one license for each concurrent session required. I'm not receiving call notifications for Switchboard Pro. Switchboard Pro call notifications are only supported on Chrome. If you are using Chrome and are not seeing notifications, you may need to enable notifications in your browser manually. I've enabled "Hide Call Notification after __ sec" in Settings, but the time duration I input is ignored. Switchboard Pro call notifications are only supported on Chrome. Other browsers may show a notification, but ignore the time in the setting.